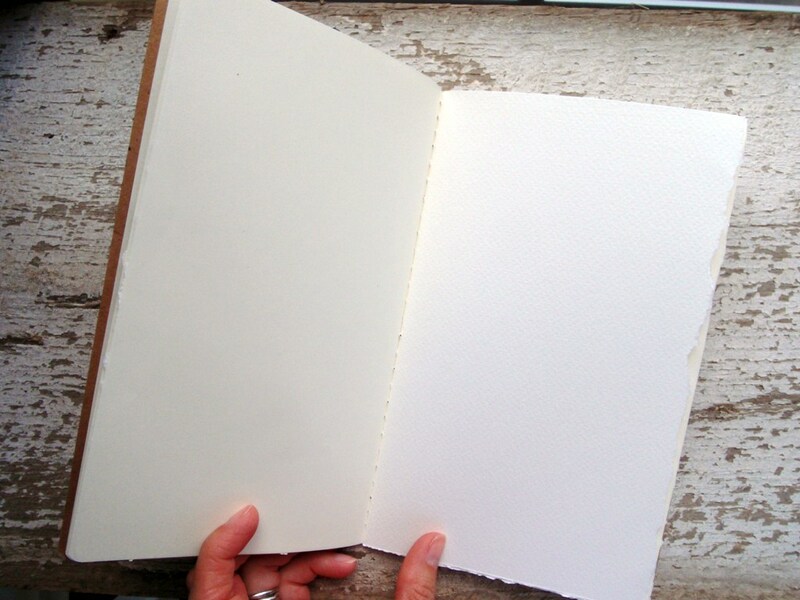 I came across this really neat sketchbook project that I’m really excited about. Whether your a professional artist or a stay at home mom you can participate. When you sign-up they send you a sketchbook to fill and you send it back sometime in December (I think) and it goes on tour across the country and then will be displayed in the Brooklyn Art Library, where it will be barcoded and available for the public to view. If you are interested just click on the image above and it will take you to the site for more info. SERIOUSLY – you don’t have to be an artist – you can fill it with whatever – you could even get your kids involved. I think it’s going to be a fun project. When you sign up you pick a theme – I picked “Inside/Outside” because I think that captures on a large scale what I paint – things found inside and outside. When I received my sketchbook in the mail it was dented a little on the front cover which I was thrilled about – it helped me get over “messing” the cover up – it was already messed up! The rules say you can do whatever you want to the book as long as it stays the same dimensions. So since I paint with watercolor I unbound the book and rebound it with watercolor paper. I included some of the original paper to make notes on and describe the painting. I’m going to use it as a SKETCHBOOK which means there won’t be finished perfected pictures – it’s kind of like a doodle book :). I haven’t painted a single sketch in it yet – I’ve only finished the cover – but I hope to start painting in it today. I’ll do posts along the way and record what I’ve been painting in it. You can also go here to see my sketches along the way. Let me know if you are signed up for this project or plan on signing up for it. Here’s another artist who’s participating – I really like her blog (scroll down to her 4th post to see her Sketchbook Project). EMBOSSING!!!! For the life of me I couldn’t think of that word – thanks Wanda! I had a feeling someone would let me know what it was called. YES, you should do one! Miss you dear friend! I was thinking about signing up for the project and then saw that it was $25, I’m not sure I want to make that much of a commitment right now. I’m sure that’s a way to weed out those that really want to do it from those that are half-hearted. Guess that puts me in the later catagory. I look forward to your sketches! I wasn’t sure about it either because of the cost because I was afraid I wouldn’t follow through with it and waste $25, but I think the money is going to hold me accountable to finishing the project. I also hate that I won’t ever get my sketches back – it will be hard for me to part with one of my sketchbooks. One of the neat features of the project is that every time someone looks at my book I’ll get an e-mail. hmmm….could an entire 4th grade class do it?? They could but I didn’t mention in the post that it’s $25 to sign-up it covers the cost of the sketchbook and all the expense it takes to put on this large of a project. I found your blog through a link about the Sketchbook Project 2011. I am also participating, but right now I am feeling so scared to do anything to it for fear of “messing it up.” I was so glad to see your post! It gave me the confidence to think about re-binding mine as well. Thanks! Can’t wait to see more of your pages in the sketchbook! Hey Lori! Oh I’m glad you gained some confidence here!!! Even the best artists feel intimidated at times and feel like their work isn’t good – so press on and just enjoy it – why do it at all if you’re not going to have fun doing it. ALSO, EVERY artist’s sketchbook is filled with good and BAD paintings – that’s what’s so great about it. Don’t have the goal to have a perfect painting on every page – it just won’t happen. The bad ones keep us humble – which is a good thing! Hope you stop back by. Thanks for such kind and inspirational words!Not only does it keep us humble, but we also learn so much from them! I will definitely stop back by your blog. Thanks again! Mine certainly has its share of bad. With only a couple that I really really liked. It is so different working with a deadline. Usually I do what I want and when I feel like it. I did feel pressured to at least fill in the book. 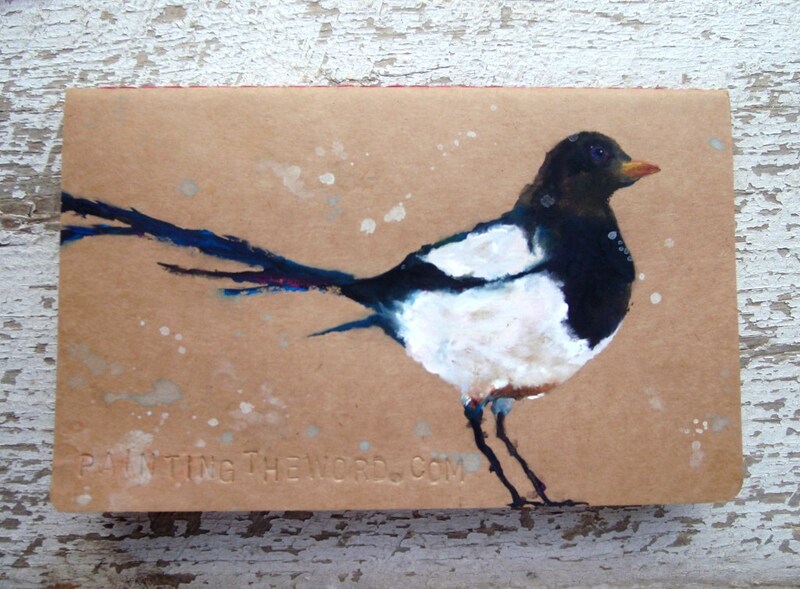 Hey Lori, one more thing – how did you come across my blog on the Sketchbook Project? I’m still learning my way around their site and I was wondering how you stumbled onto my blog? You know, I actually came across your blog from a post that you left on Geninne’s Art Blog! I was intrigued by your comment that you re-bound the book with watercolor paper and visited your blog! So, it was not on the Sketchbook Project site itself. I have not played around too much with their site either. In fact, I thought I knew my password, but after trying a few times I ended up having to reset it. Ugh. Gotcha! I LOVE Geninne’s blog! She’s so talented. I hate when I forget my passwords -ugh is right :). That’s great Carol! Can’t wait to see some of your work. AND I have a GIVEAWAY on until tomorrow! What, exactly, is this embossing tool you used? And where did you purchase it? I’m always on the search for tools. I think it’s an embossing tool for leather and I think I got it at Hobby Lobby in the leather making area. I’ve used it on several things – paper and even wood! Oh it has been far too long since I have looked at what you have been up to. Love you and your gift. Thanks for sharing it with your admirers! Hey Tina!!! Thank you friend! Hi! I love your cover and it shows that you love to paint birds, because he is beautiful! I’m envious of your talent with watercolors. I should get my sketchbook in the mail tomorrow, right on the deadline, and am excited about being able to go see it on tour, either in Toronto or Chicago (I live in Michigan). Have you sent yours in? Did you take photos or scans of the pages before hand? I’d love to see some of your pages posted here… let me know if you do! Thank you Kathy! Unfortunately I never finished the sketchbook and I didn’t turn it in because as usual with sketchbooks they are very personal to me (like little friends I can’t part with) and I just couldn’t send it in. I just took it apart , put my pages in, and rebound it. You could probably even staple it back together. Thank you for stopping by and for your kind comments. If you’re not sure how to sew the book back together you can find all kinds of tutorials on YouTube.